The 8 songs on this album were recorded between 1982-84 and apparently are culled from a total of 30-40 unreleased tracks. The music is based in 70's progressive and hard rock, with vocals all in Swedish. Side 1 opens with "Ett Ord Till", a heavy progressive rocker with a classic organ sound. "Som En Duv Om Natten" features high energy rock with killer keyboards and power rocking guitars. Kind of like a more prog rock version of Deep Purple. "Snabbare An Tuden" is one of the standout tracks of the set. It starts off as more of a mainstream rock song than the others, but surprise surprise... it soon blasts off into a killer jam section and even goes a bit into space. "Olosta Fall" and "Fallan" are others that are pretty much straight ahead rock songs, but the former takes off on a smokin' jam at the end, and "Fallan" has its moments too. "Agget" is the most mellow flowing tune of the set. But the first 2 songs on side 2 were my favorites, along with "Snabbare An Tuden" from side 1. "I Vantan Pa Nagot Battre" is the longest track on the album and a very good hard prog rock piece. Bits of it have an almost Celtic sound, like old Horslips or something. But that's only during the beginning of the sung verses because it quickly takes off into a prog jam with great keyboards and rockin' guitars. Ditto for "Sa Manga Sagor" which has an excellent melodic theme that the band develop throughout the song. So here's your chance to grab a slice space rock history. 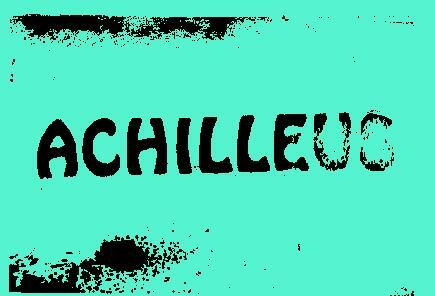 No, Achilleus weren't a space rock band per se, though hints of cosmic things to come are peppered about throughout the album. But Darxtar certainly have included elements of progressive rock, as has Pseudo Sun. And it's great to hear that such cool music was being made in the early 80's. Better hurry though because only 150 copies were pressed! Write to pseudo_sun@hotmail.com to get details on how to order the LP. You can also visit the Pseudo Sun web site at: http://warp9.to/pseudosun.